This week, we had a chat with Kirsten Kapur, designer of fabulous and fashionable accessories like shawls and mitts. Read on to learn about her inspiration and dedication to the world of knitwear! 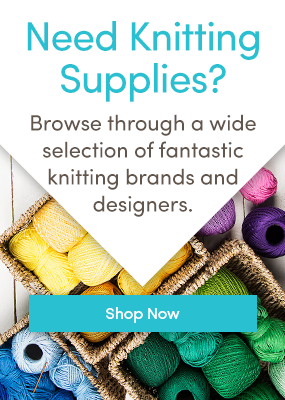 When did your knitting adventure begin? I don’t actually remember learning to knit. It feels like something I’ve always known how to do. I was a pretty antsy kid, and didn’t sit still very well to have people teach me things, so it’s most likely that at some point I picked up the needles and figured it out for myself. I was lucky enough to grow up in a family of makers. Both of my parents were always creating something. My mother never sat down without her quilting, knitting, or sewing. My father built our first color TV, and always had a project going in his wood shop. They built beautiful gardens together and were passionate plant hybridizers specializing in rhododendrons and daylilies. In the kitchen they made their own yogurt and routinely baked bread. Making and creating were just a way of life in our house. I feel so very lucky to have been raised in a home where activities like these were commonplace. My parents taught my sisters and I by example that we could follow our creative dreams where ever they might lead. Your shawls are beautiful and incredibly popular. Which of your shawls is your favorite, which is the most popular, and which did you have the most fun designing? Gosh, I don’t know which of my shawls is my favorite. I love playing with color, so I design a lot of two color shawls. Those are probably my favorites, but I could never pick just one. Even when I design single color shawls I usually start to think about how the design might work if I add a second color. It is great fun to see what other knitters do with my two color designs. With a single color shawl, knitters often knit the pattern as written. However, when I design with two or three colors, knitters begin to riff on the design — switching up color placement, and experimenting with yarns. I love seeing what they come up with. They often do things that wouldn’t have occurred to me, and make me fall in love with the pattern all over again. My most popular shawl design is definitely Cladonia. I released that pattern quite a few years ago, and it continues to be one of my strongest sellers. Naturally it is a two color design, but it does look lovely in one color as well. The patterns that are the most fun for me to design are also the most challenging. Each June I do a mystery shawl knit along. The nature of a mystery pattern requires that I create designs where each clue is different from the last so that the design doesn’t become predictable. All the while, the resulting design needs to make sense, and the clues must work together to create a beautiful shawl. I love the challenge of creating a design within these parameters, and am very proud of the results. When did you first decide to design shawls, and why? What was your first design? In 2006 or 2007 I knit a few shawls like Evelyn Clark’s Swallowtail, Polly Outhwaite’s Kiri, and Cheryl Oberle’s Wool Peddler’s shawl. At the time my kids were teenagers and I spent a good bit of time taking them to music lessons and rehearsals in New York City. We lived in New Jersey, and the trip was long enough that it didn’t make sense to go home, so I would bring a knitting project and wait. Portable projects like shawls were great for this since they are small and travel well, yet take some time to knit. I had already designed quite a few patterns by this point — cardigans, mittens, hats, socks, etc. After knitting shawl patterns by such talented designers I became intrigued by the top down shawl construction, and the idea of working stitch patterns into the format. That naturally led to creating my own shawl designs. Jeanne was my first shawl design, and I designed a few more top down triangles before I became interested in the math that created the triangles, and thinking about what other shapes I could make by altering the math. Knitters seemed to like the designs I was creating, and I liked designing them, so I continued. I’ve published about 53 shawls/wraps to date, and there are several more that I’ve designed by haven’t published, so I guess shawls really have become my “thing”. If you have time to knit for yourself, what do you like to knit? What is your Ultimate Project? I almost never have time to knit for myself, but I dream about it constantly. I’ve got a few “ultimate projects” that I’ve wanted to knit for years. One is a long richly cabled coat knit in a charcoal grey yarn — something that I can wear throughout the autumn months here in New York. Another is a cardigan knit entirely out of yarn that I’ve spun. I’ve started spinning the yarn for it, but I suspect this project is one that will be years in the making. Finally, I have a dear friend who owns a yarn store. Yesterday I visited her shop and came home with a sweater’s worth of the most decadent cashmere. As a result a cardigan in that yarn is now at the top of my ultimate project list. I began swatching right away when I returned home last night! What projects do you have coming up – any juicy gossip about new patterns that you can share with us? I’ve got a few patterns that I plan to release this month, a couple of those are patterns that were formerly exclusive that I can now publish on my own, and one is a new shawl design which I am very excited about that I plan to release on September 15th. More pattern releases will follow, throughout October. Then in January, I will host my annual mystery sock KAL in my Ravelry group. Finally, I’ve just completed work on designs for a new book that will be published in the Fall of 2016. I am co-authoring the book along with photographer Gale Zucker and designer Mary Lou Egan. More details on that as we get closer to the publication date! Ooh, mysterious and exciting! To see all of Kirsten Kapur’s stunning patterns, click here. Want to see more patterns, free tutorials, and inspiration? Follow us on Bloglovin’! Last updated: September 10th, 2015.